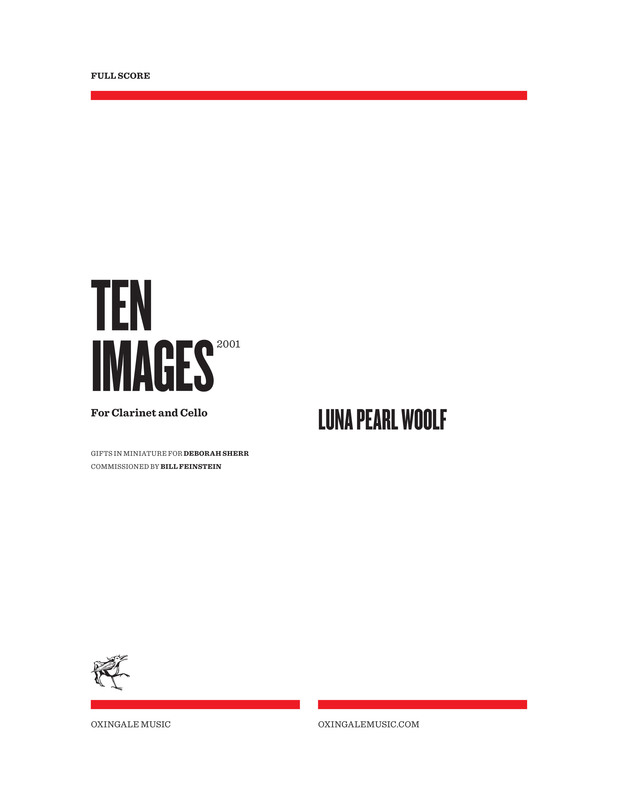 Ten Images was commissioned by Bill Feinstein as a birthday gift for cellist and educator Deborah Sherr. 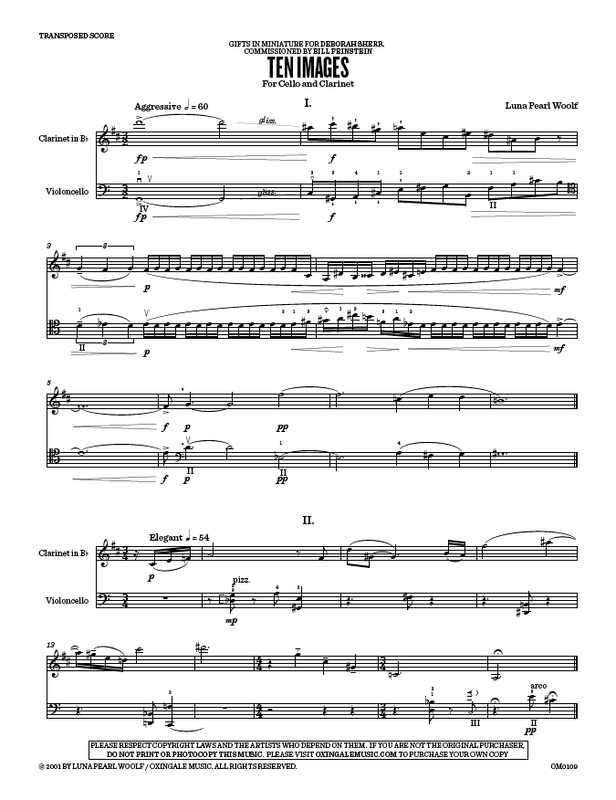 At a private celebration in her honor in May 2001, Ten Images was given its first hearing by clarinetist Michael Sussman and cellist Matt Haimovitz, who later premiered the piece publicly. The work’s dedication figures in the finale to the set, in which one can hear a musically spelled setting, first stated boldly, then spun out in idiomatic motifs, of the name, Deb Sherr. This entry was posted in Cello Music, Chamber Music, Chamber Music with Cello, Luna Pearl Woolf and tagged Bill Feinstein, cello, clarinet, Deborah Sherr, miniatures. Bookmark the permalink.